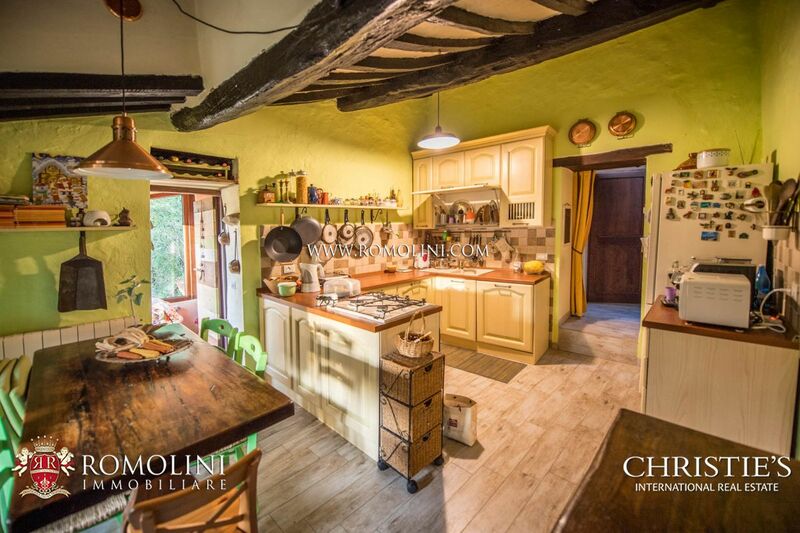 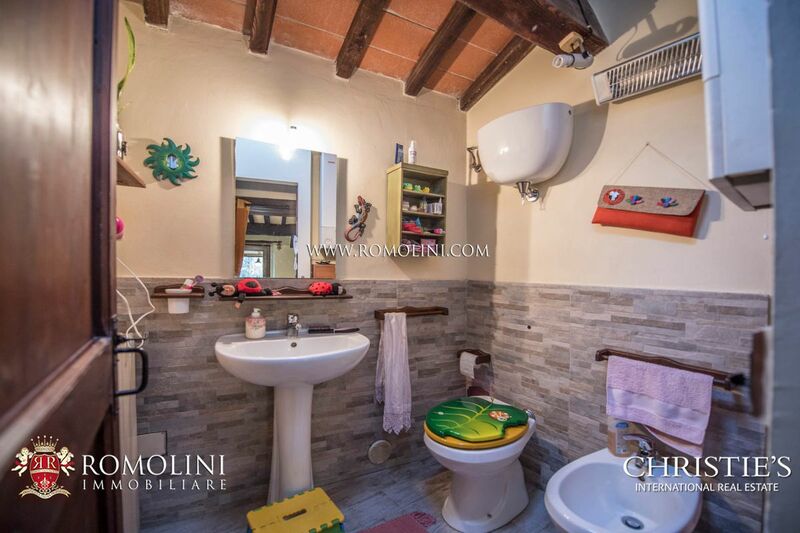 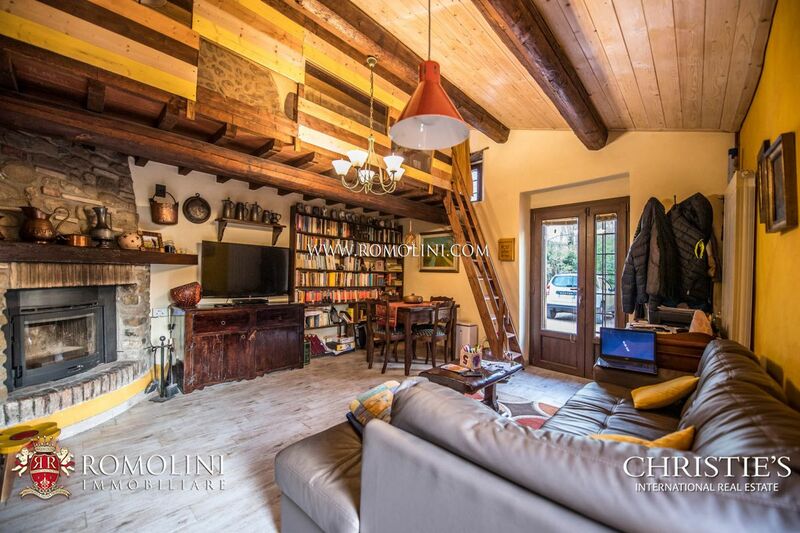 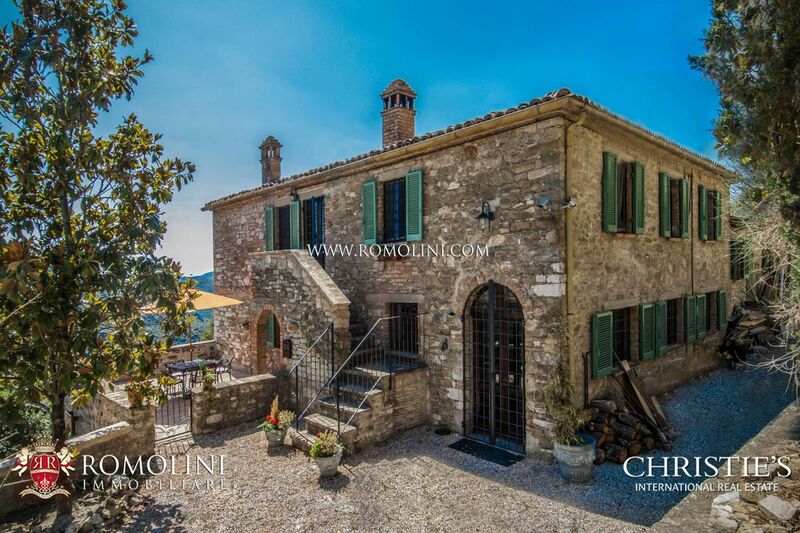 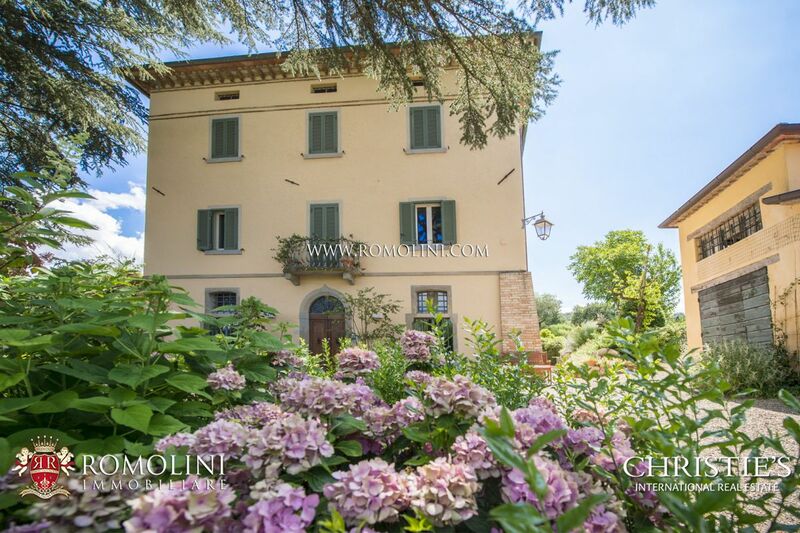 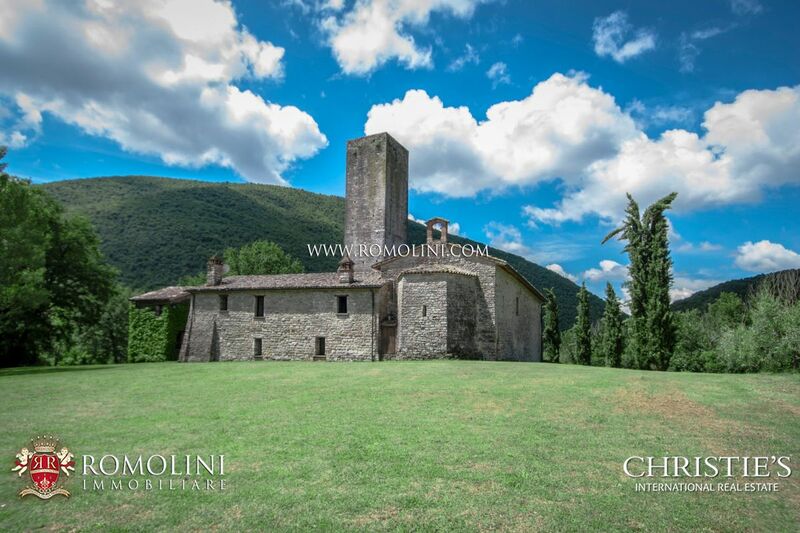 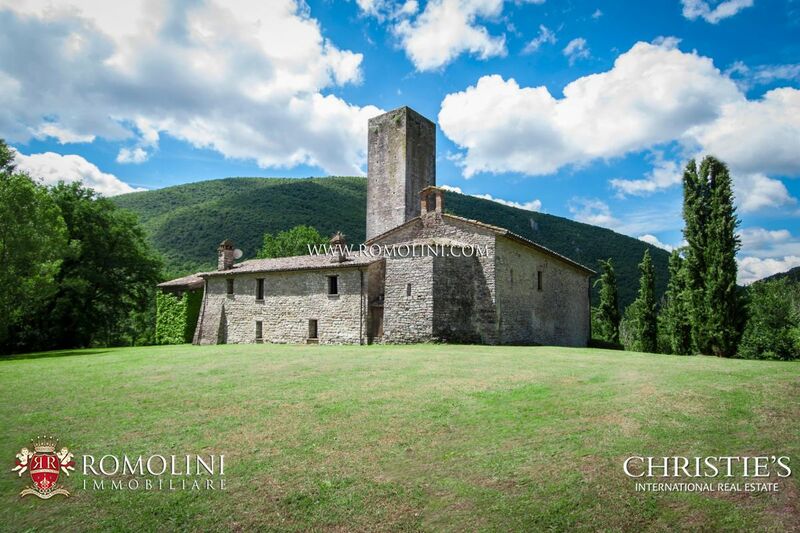 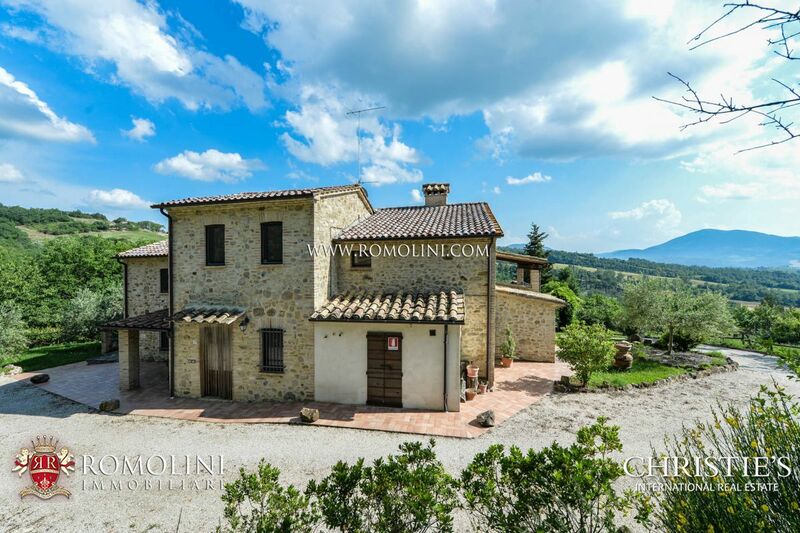 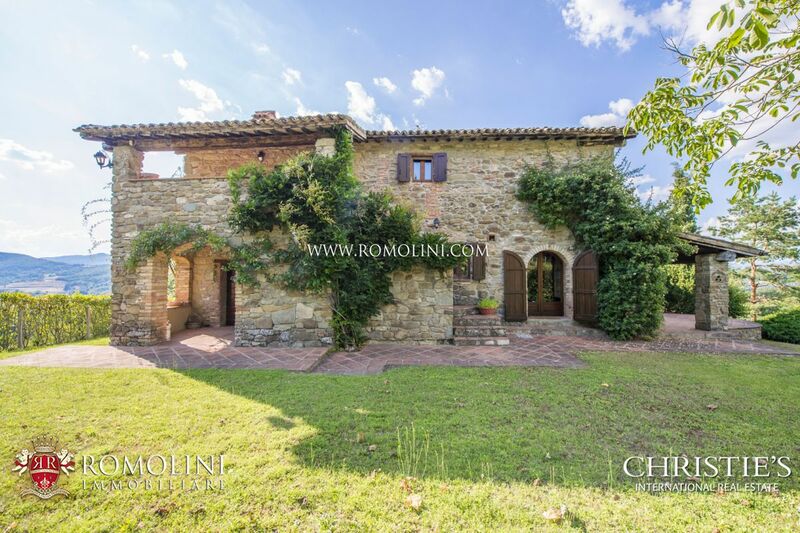 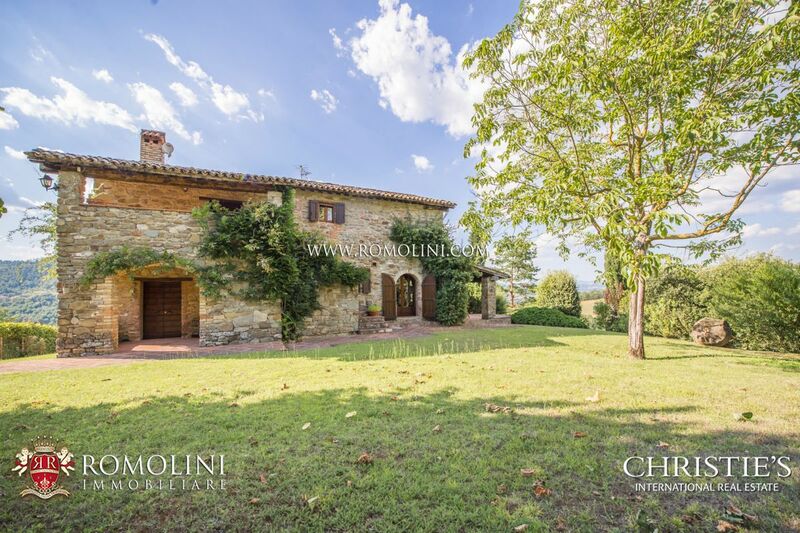 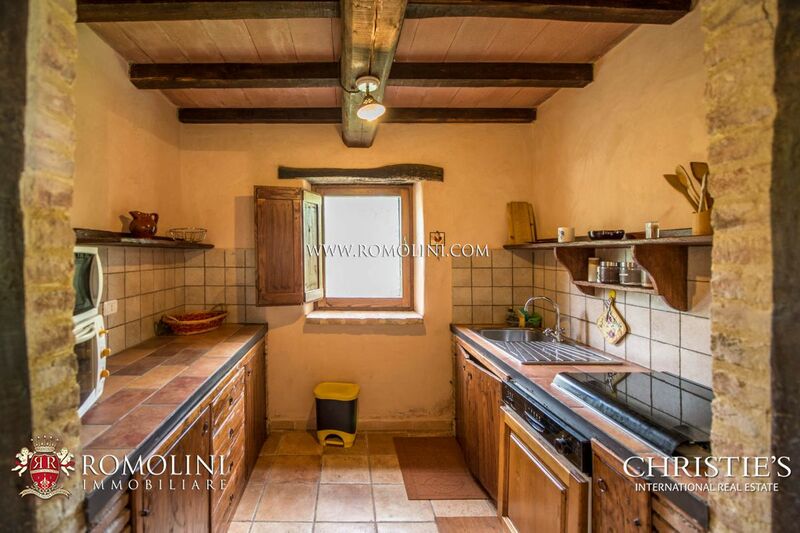 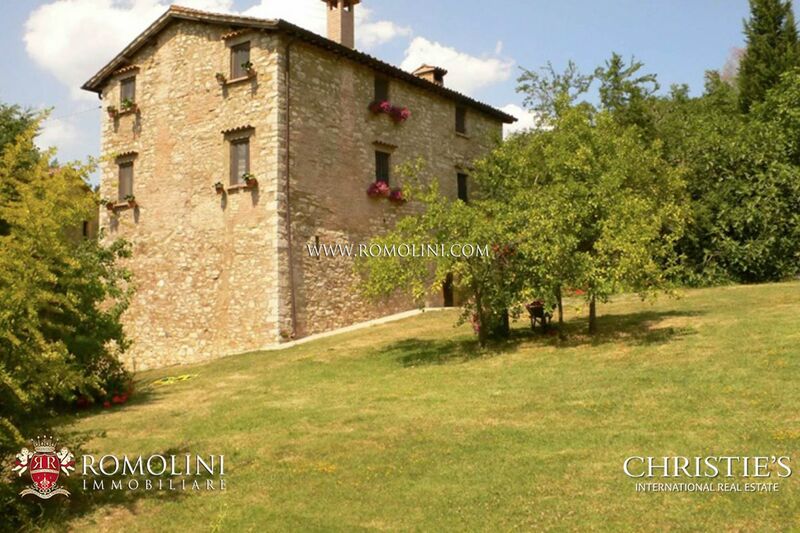 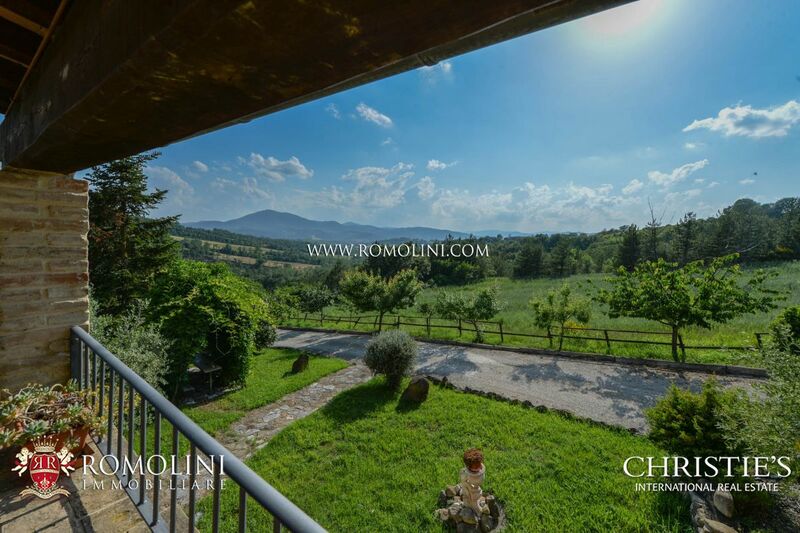 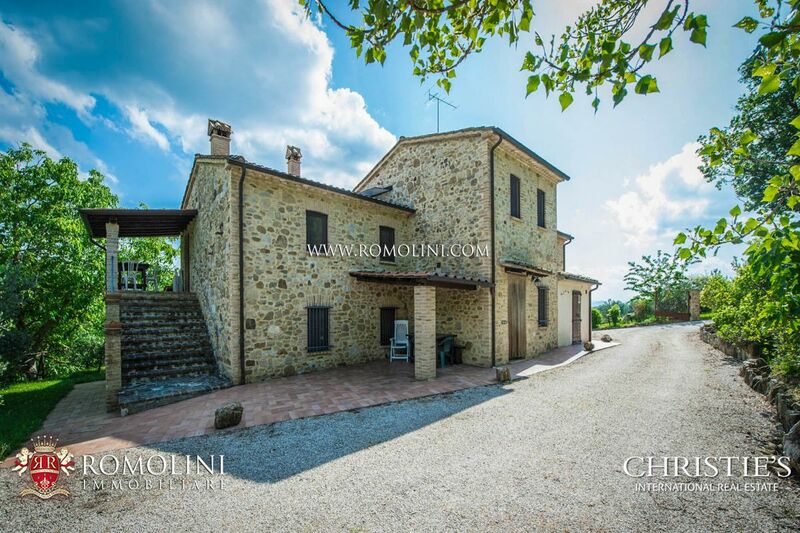 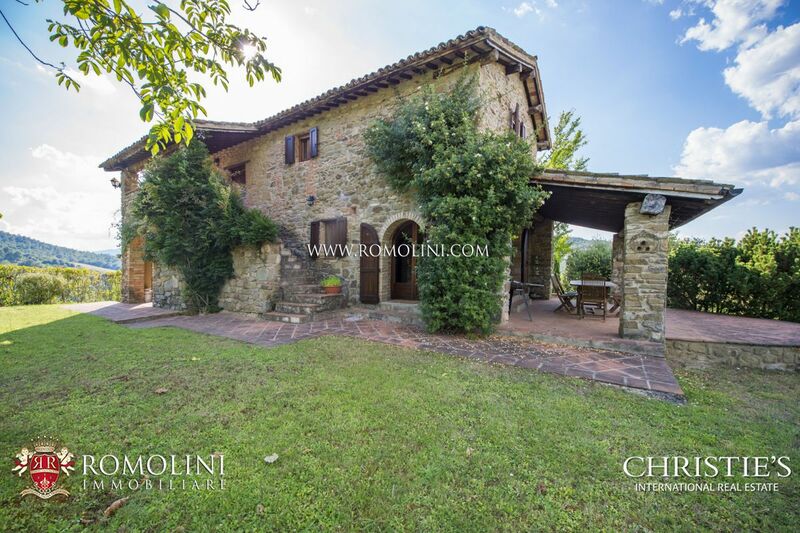 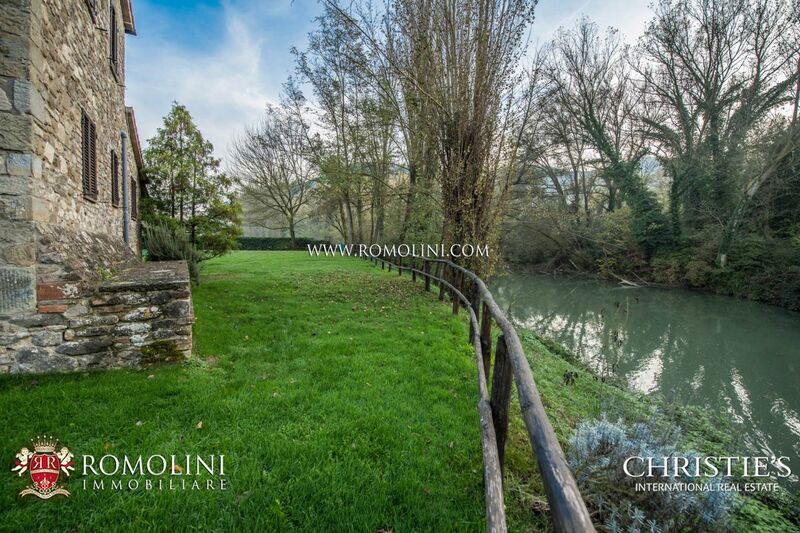 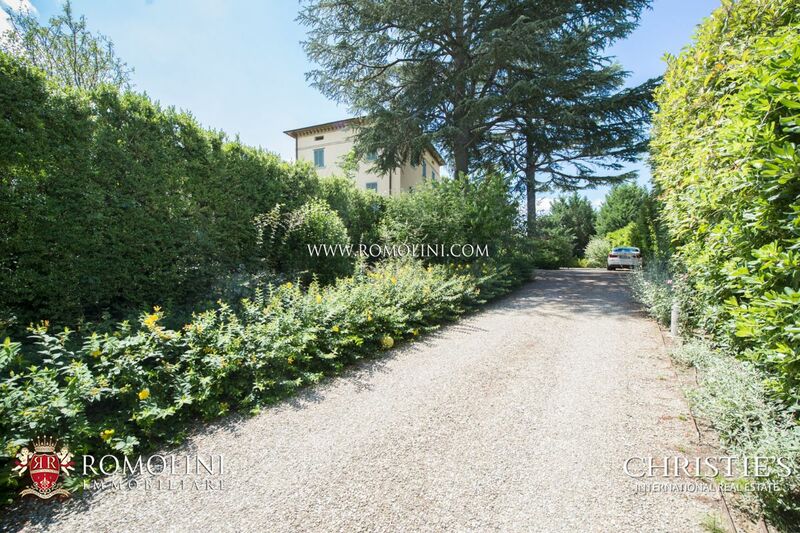 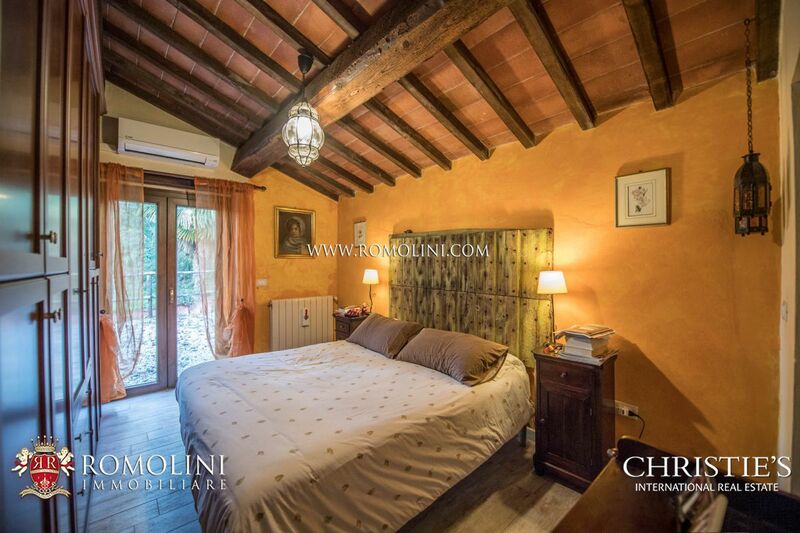 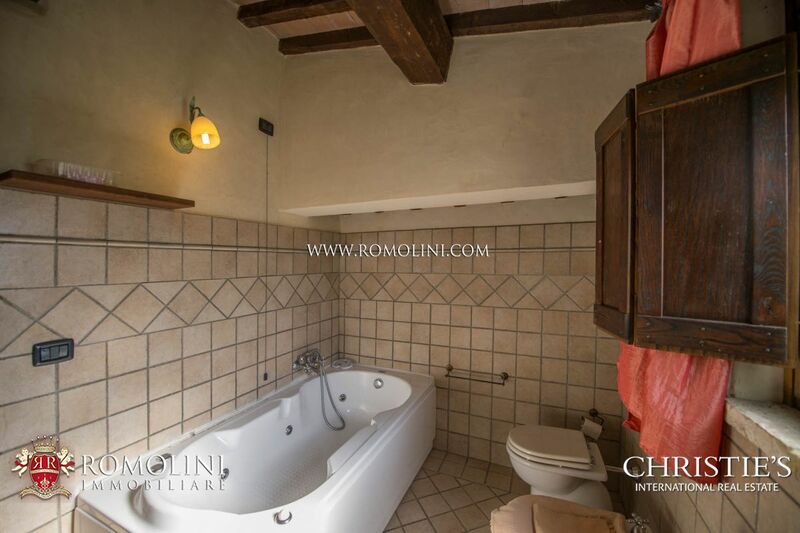 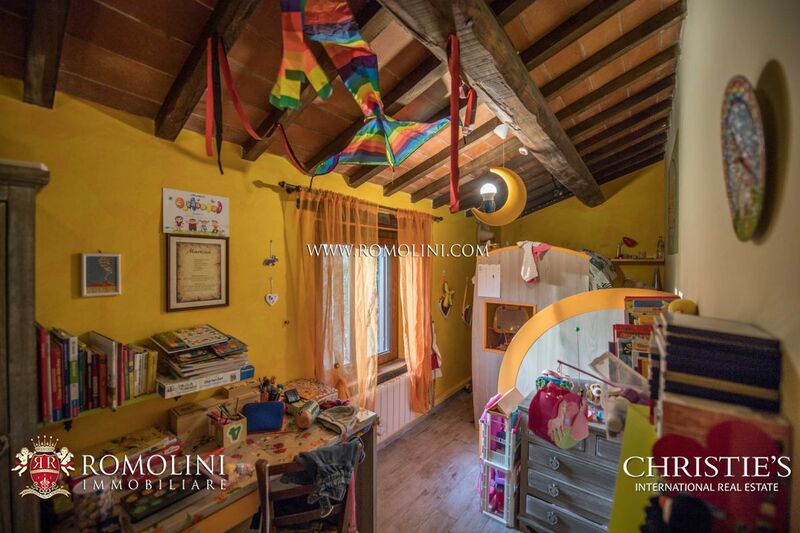 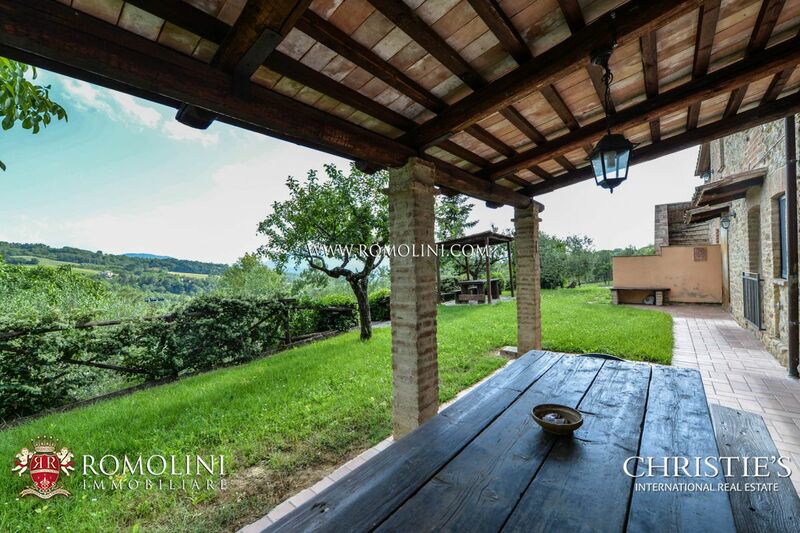 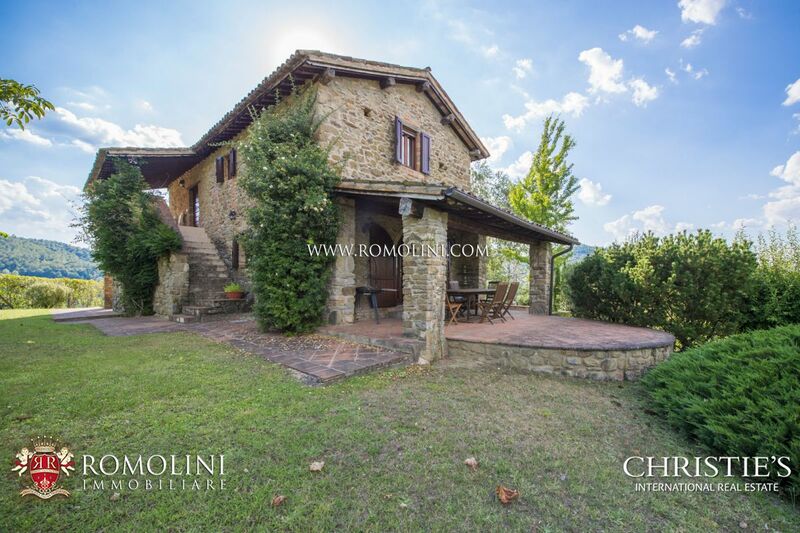 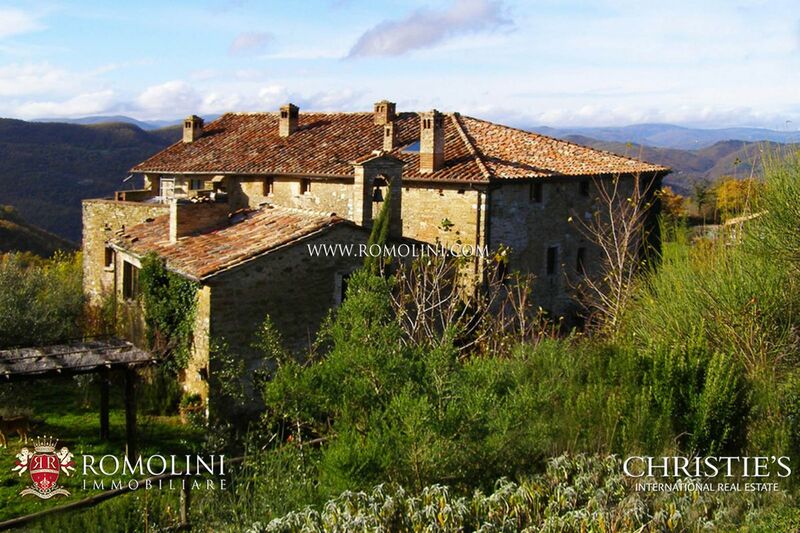 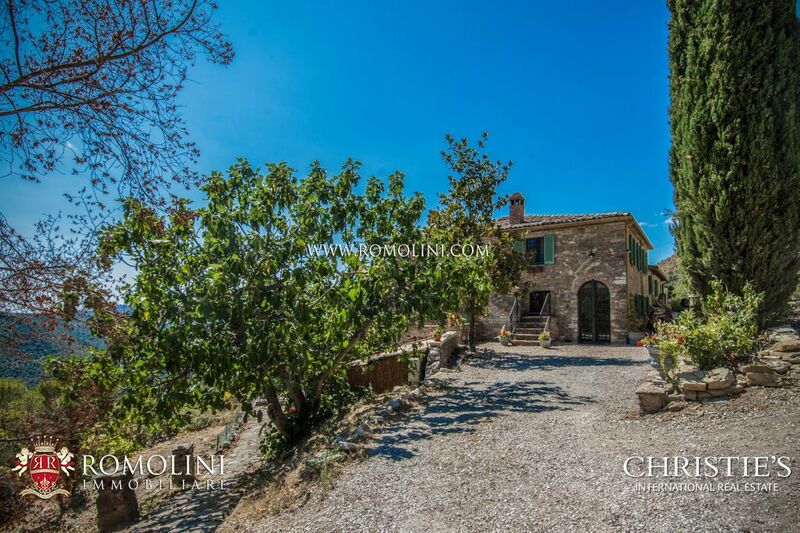 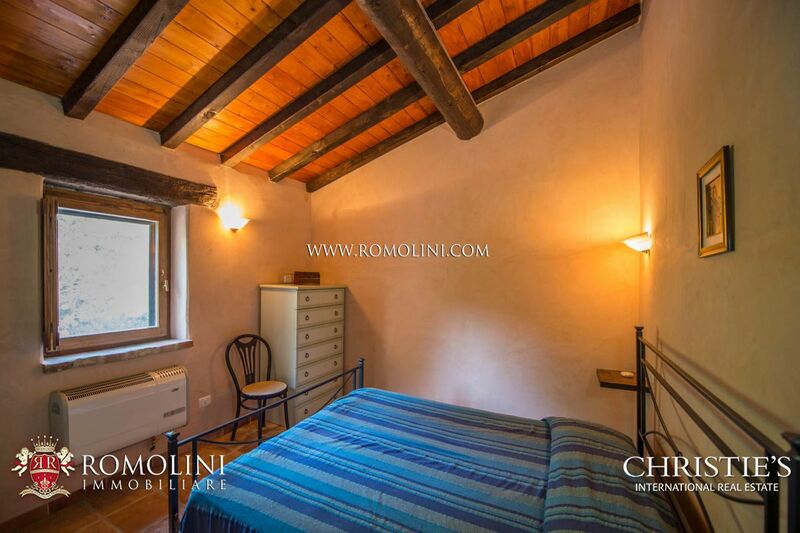 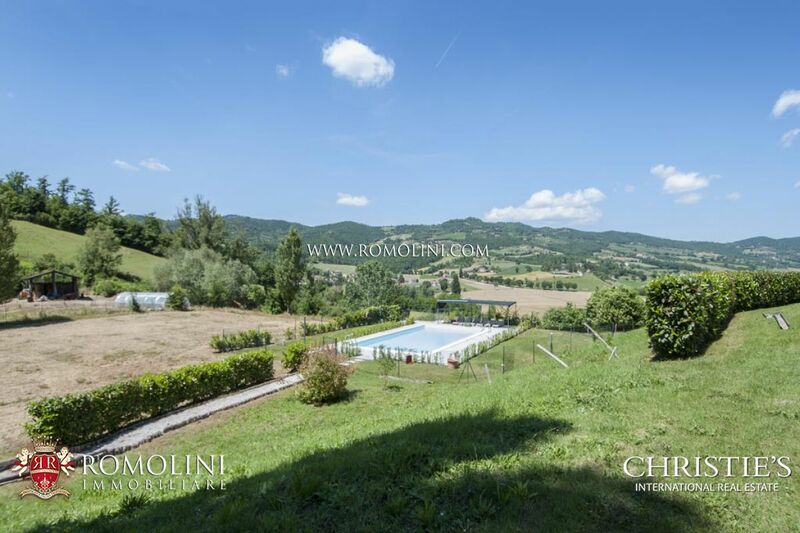 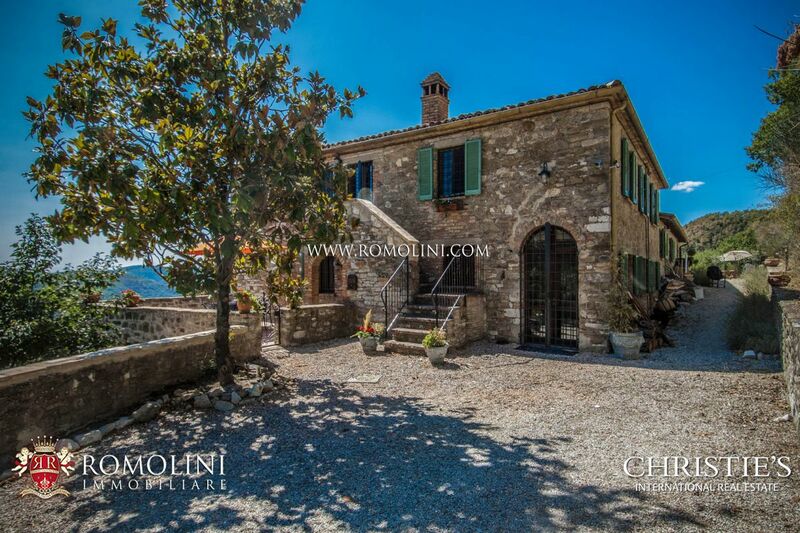 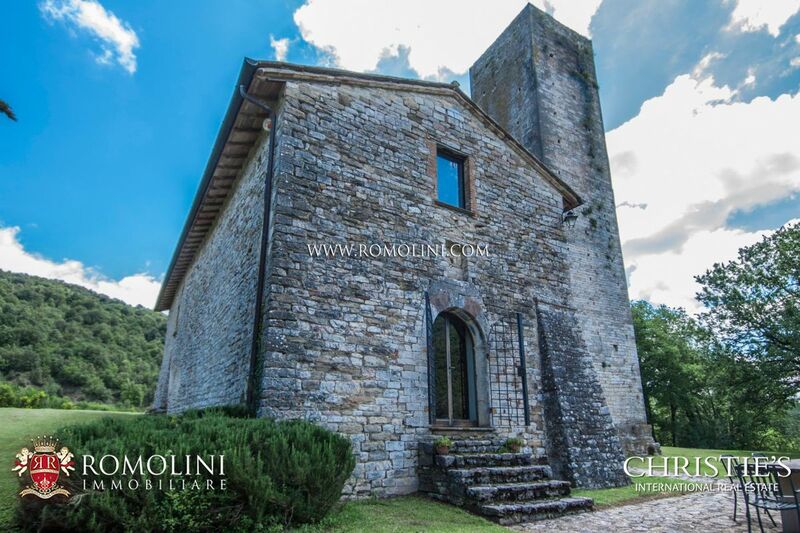 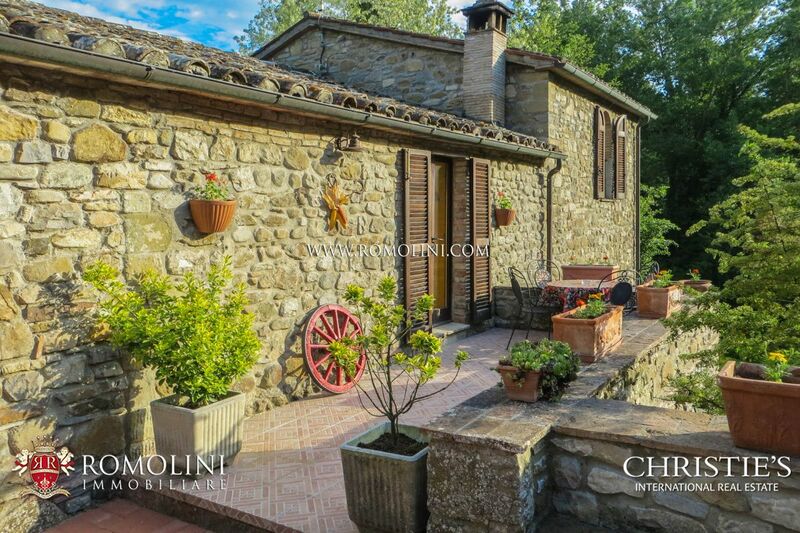 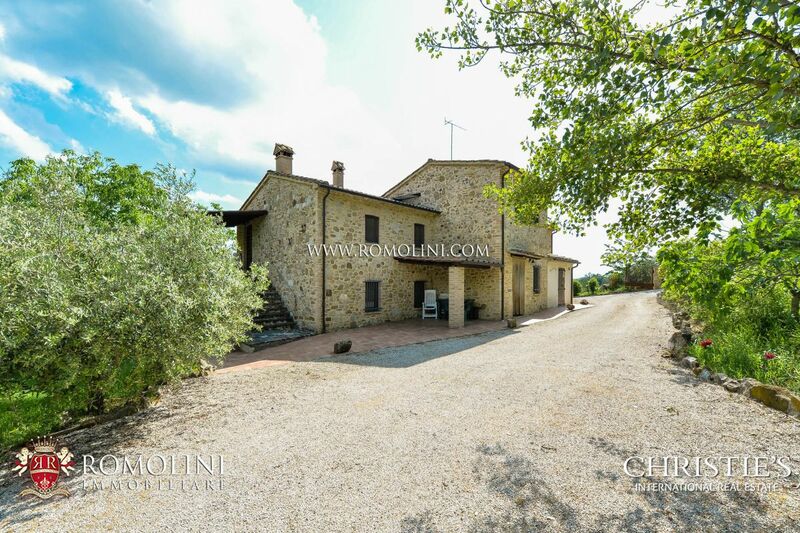 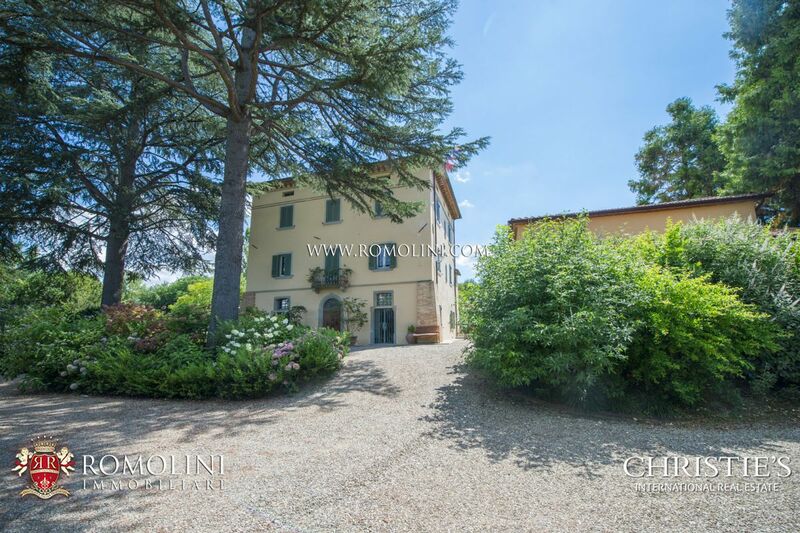 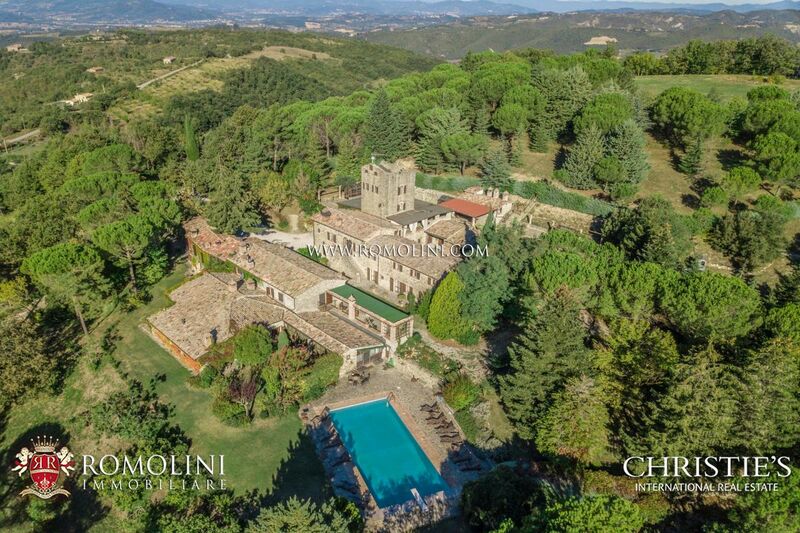 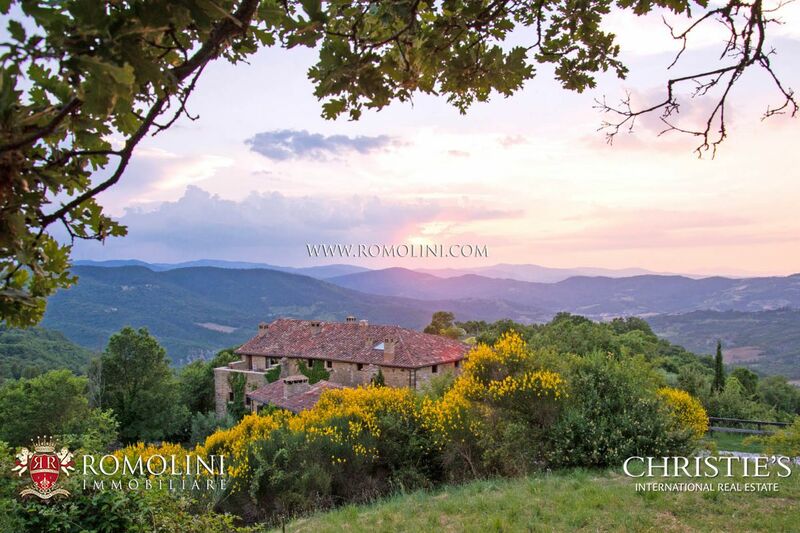 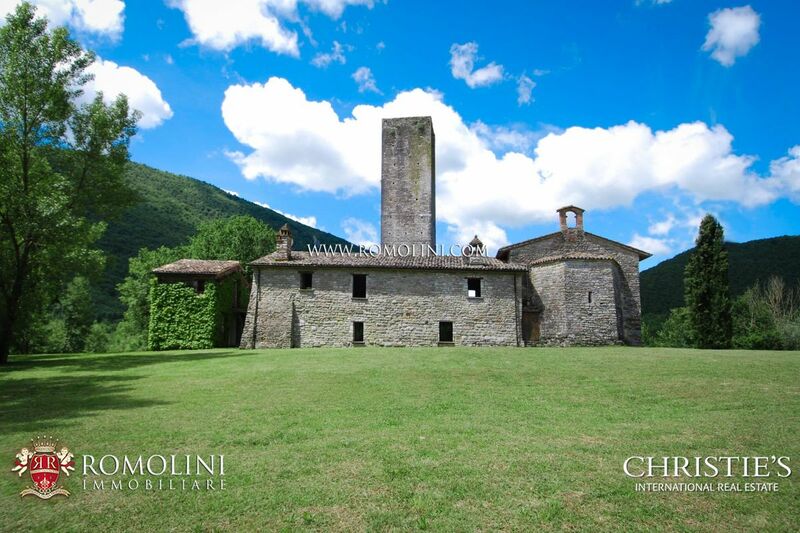 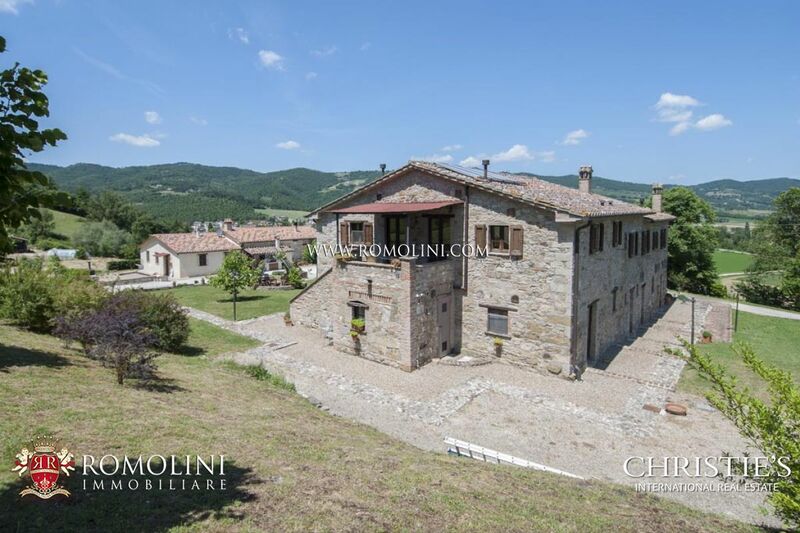 Not far from Umbertide, Umbrian villages in the province of Perugia, property consisting of a main building and a rural outbuilding, both divided into independent apartments for a total of 1,200 sqm. 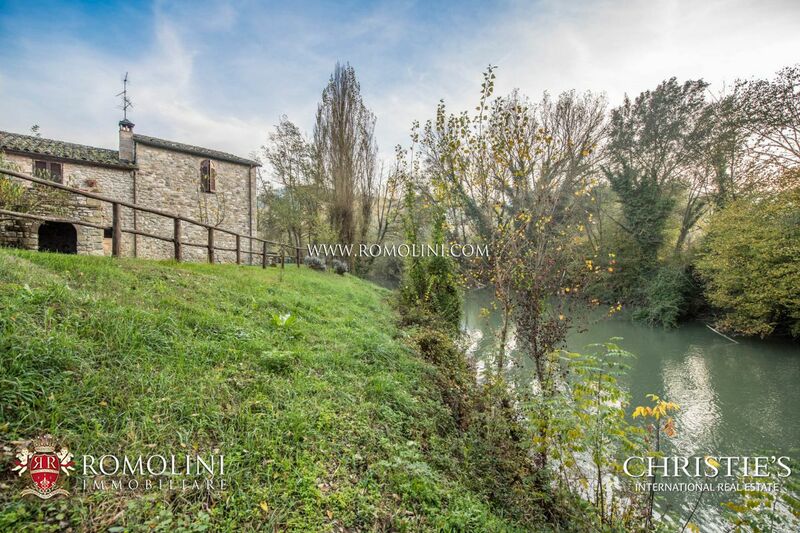 The property is completed by 20 ha (49.4 ac) with a private fishing lake. 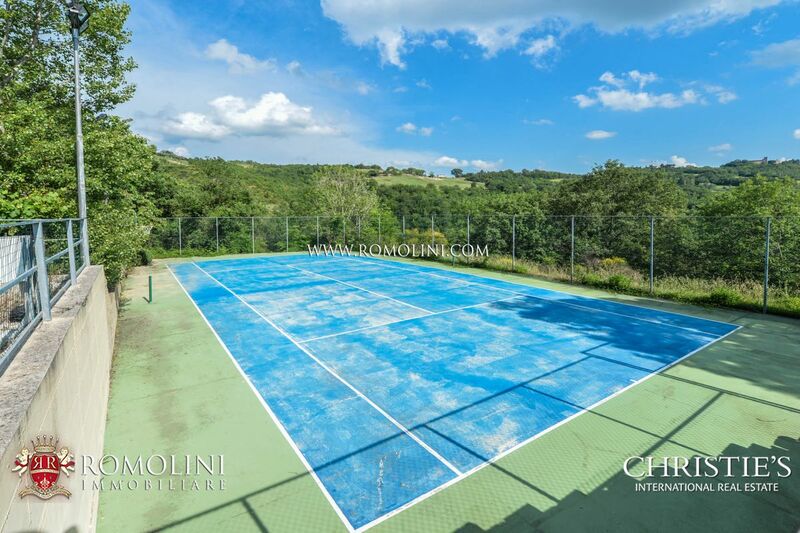 Currently running as accommodation business, it is ideal also as exclusive residential complex, for families who wish to live close each other. 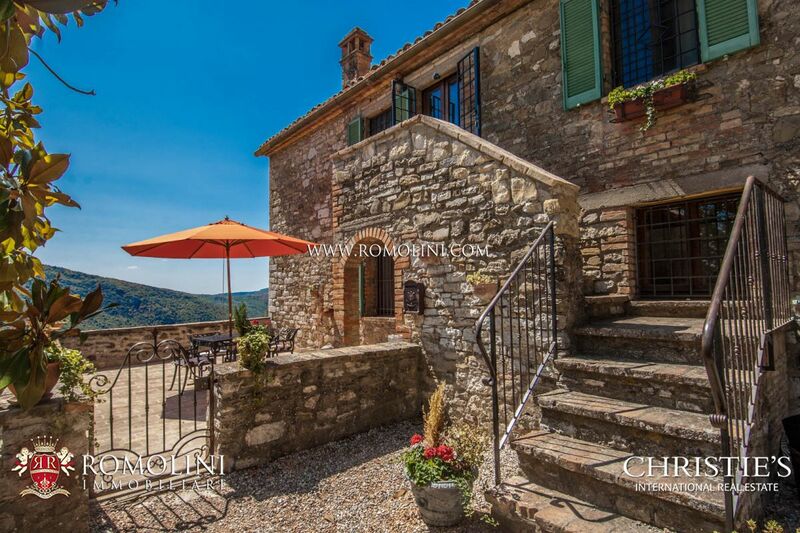 In a hilly position in the Umbrian countryside, not far from the town of Umbertide, this 300-sqm farmhouse offers five apartments to start a comfortable B&B that allows guests to easily move around the most fascinating cities of Tiber Valley. 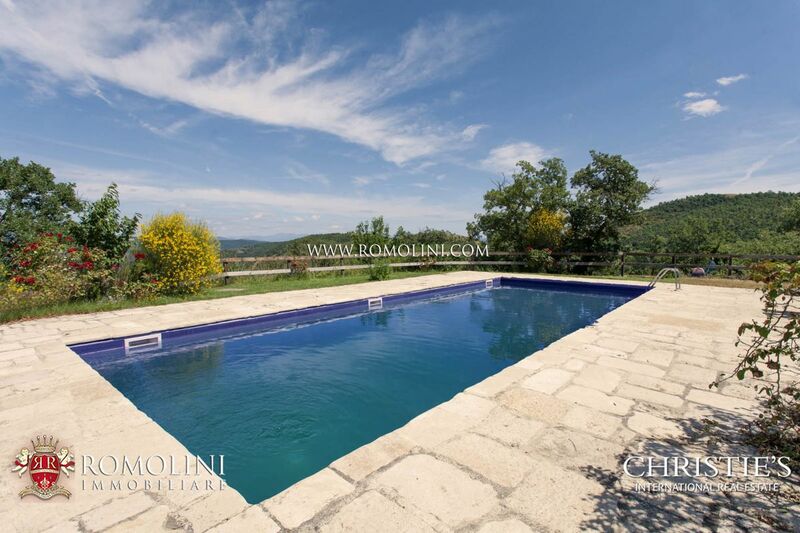 The farmhouse is surrounded by 4 hectares of land which also hosts a 12 x 6 m swimming pool. 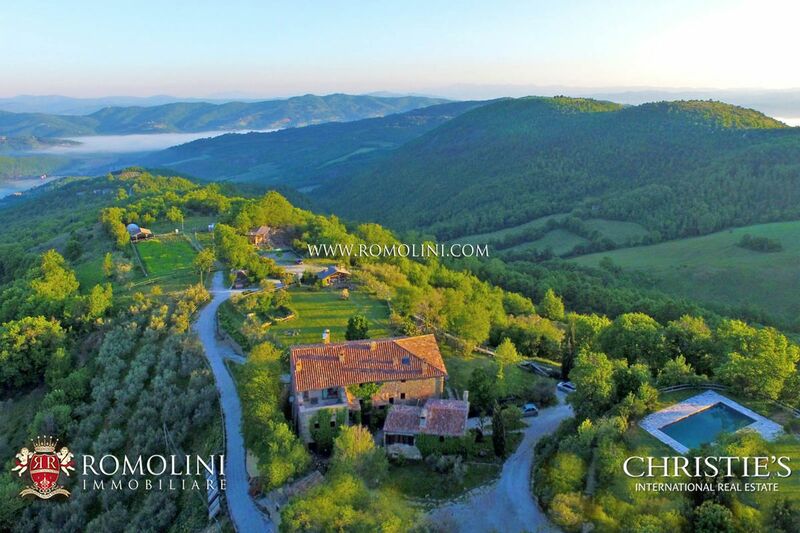 В долине Никоне, в самом сердце Италии, в Умбрии, находится этот загородный дом в продаже у Ромолини Иммобилиаре. 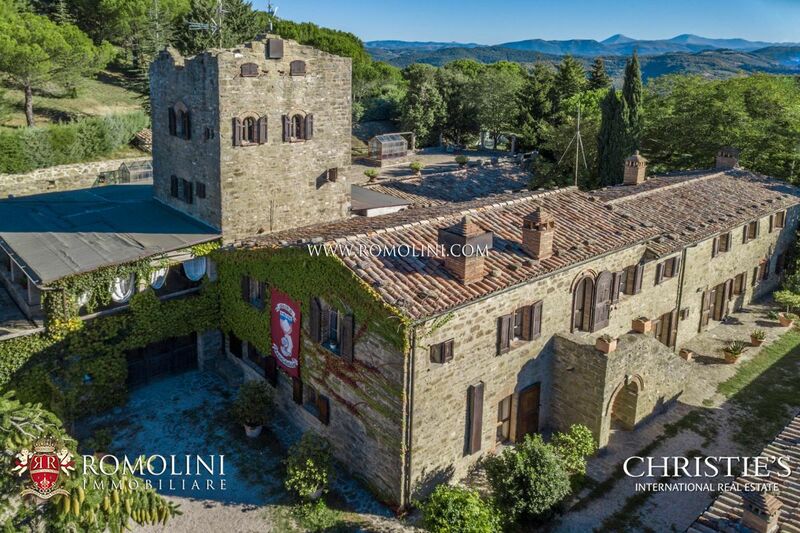 Владение включает в себя два каминные хутора, восходящие к 1800 году. 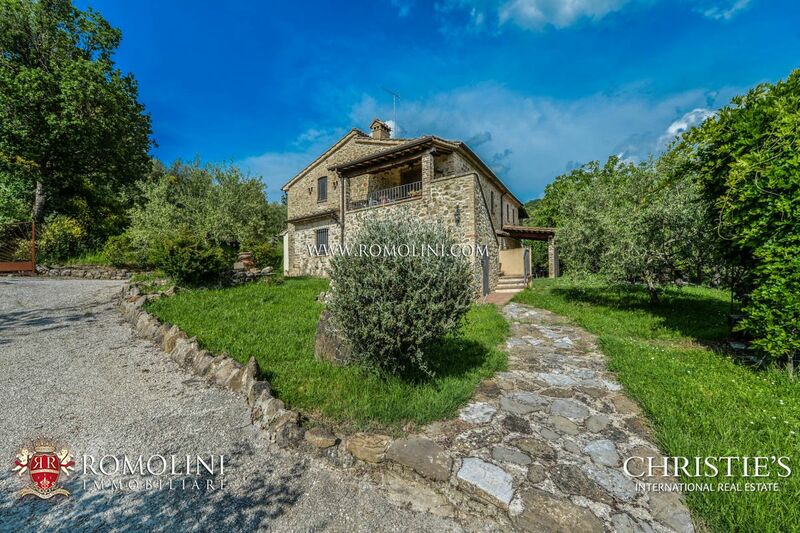 In panoramic position on the hills surrounding Umbertide, in the Umbrian countryside, this 220 sqm farmhouse has been carefully and finely restored. 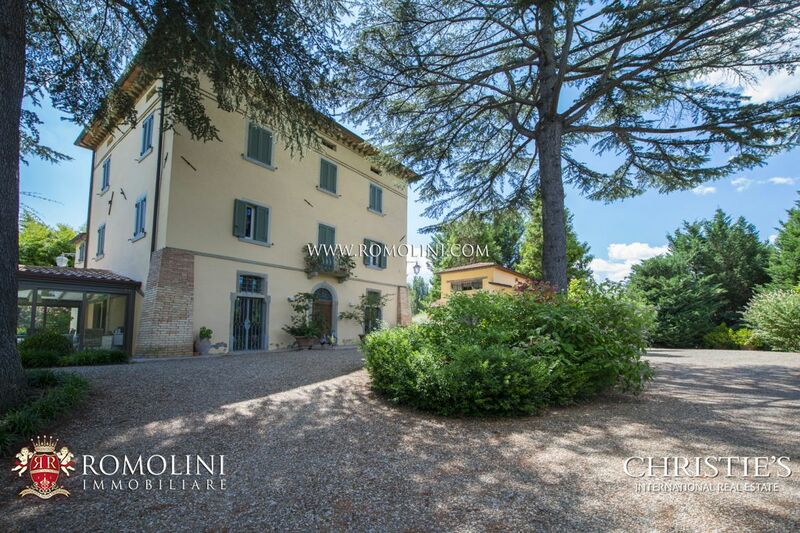 The building, with its 4 bedrooms, is perfect for anyone looking for a private residence in a quiet location. 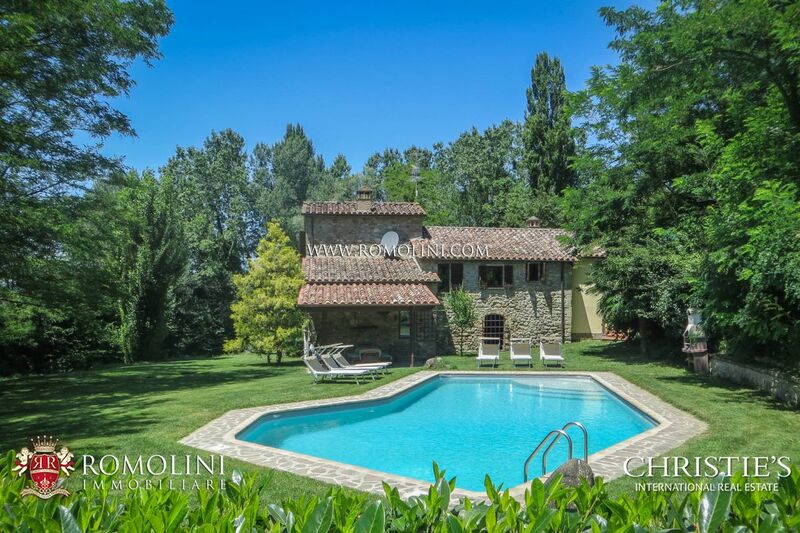 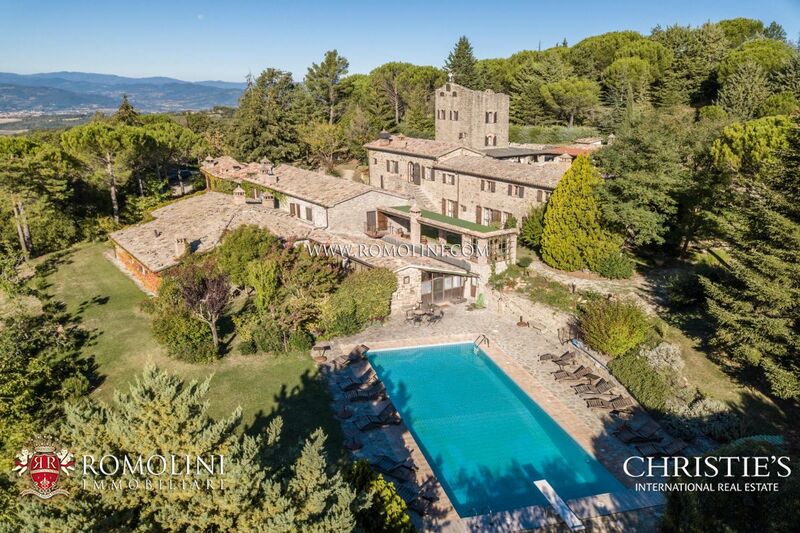 The property is completed by a 5,000 sqm fenced garden dotted by trees and a 12 x 6 m swimming pool with wooden solarium. 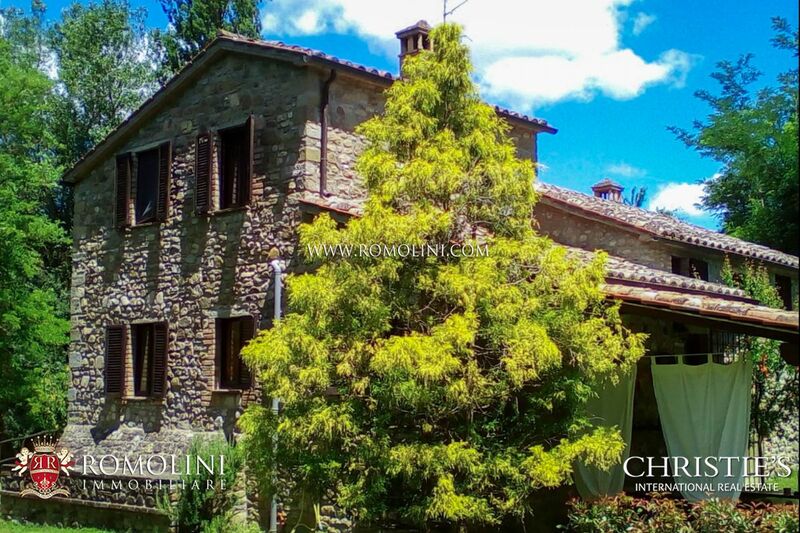 В регионе Умбрия, недалеко от городка Умбертиде, в тихом и конфиденциальном месте, продается великолепная вилла в стиле ар-нуво. 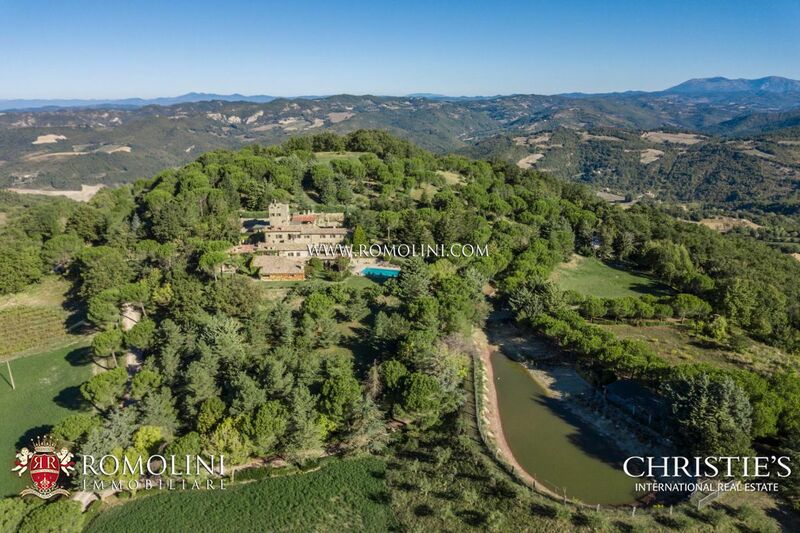 Собственность, площадью 490 квадратных метров, идеально подходит для тех, кто ищет частную резиденцию с садом и бассейном. 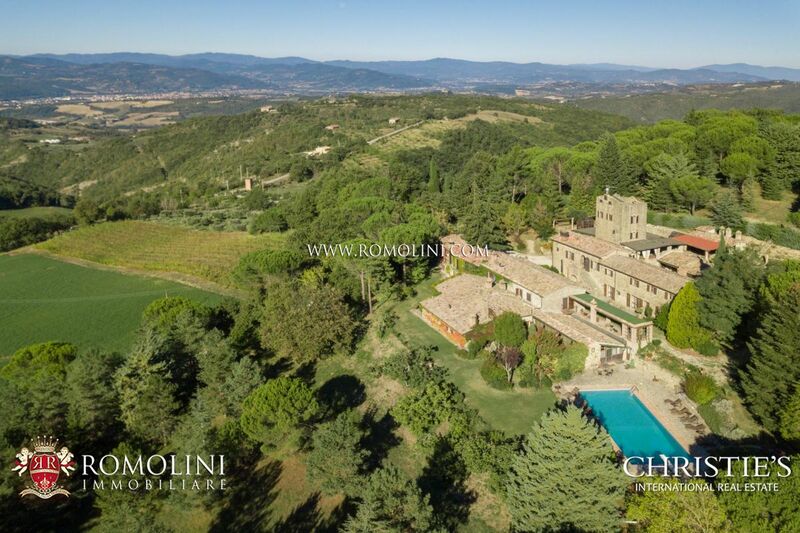 Большая жилая площадь виллы также позволяет вам сдавать несколько помещений в аренду туристам. 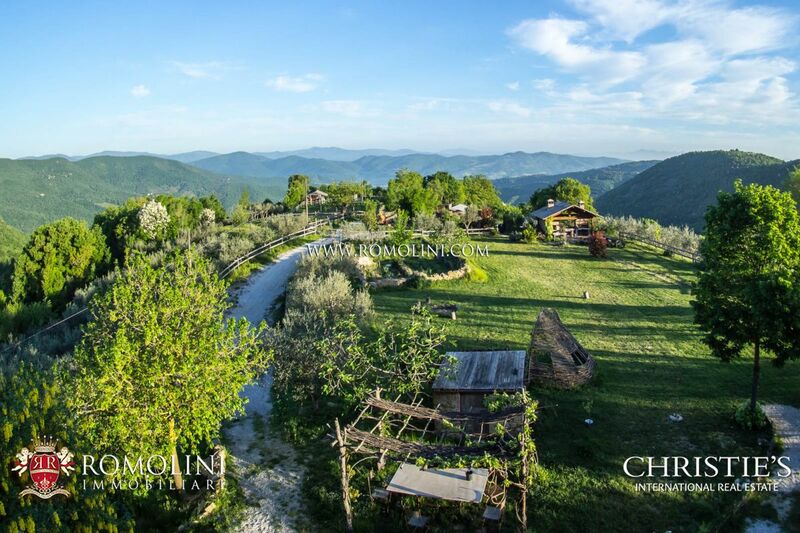 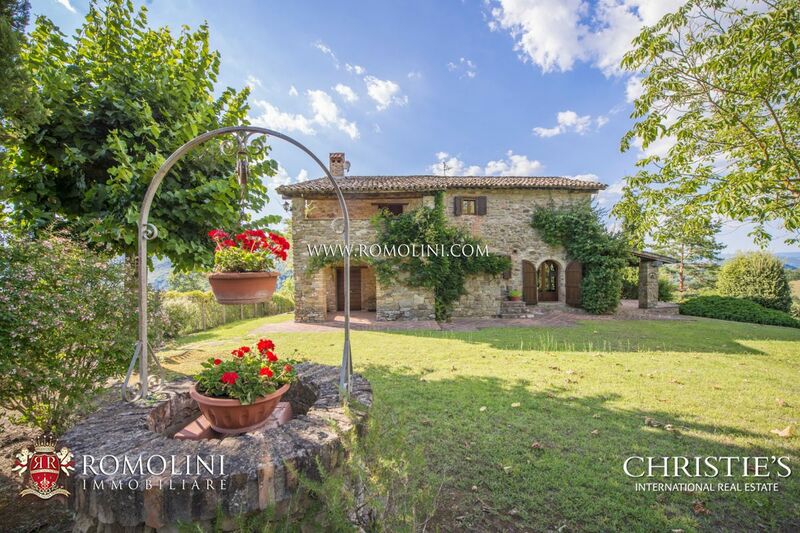 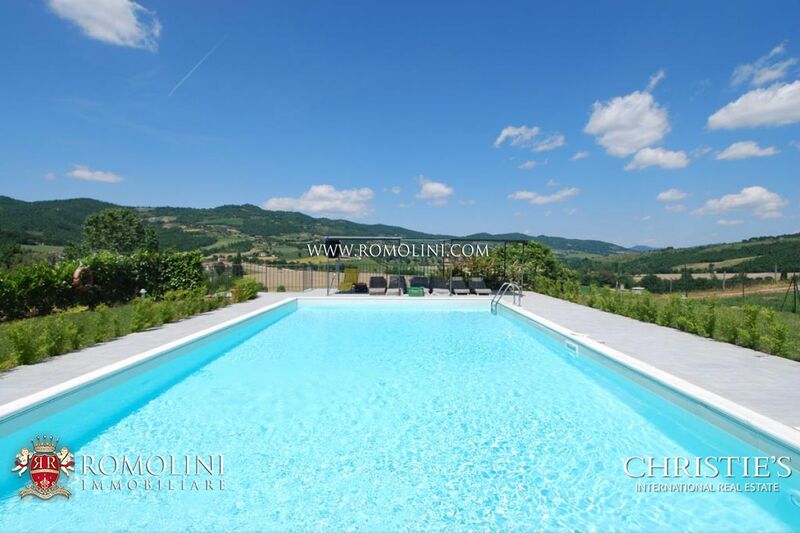 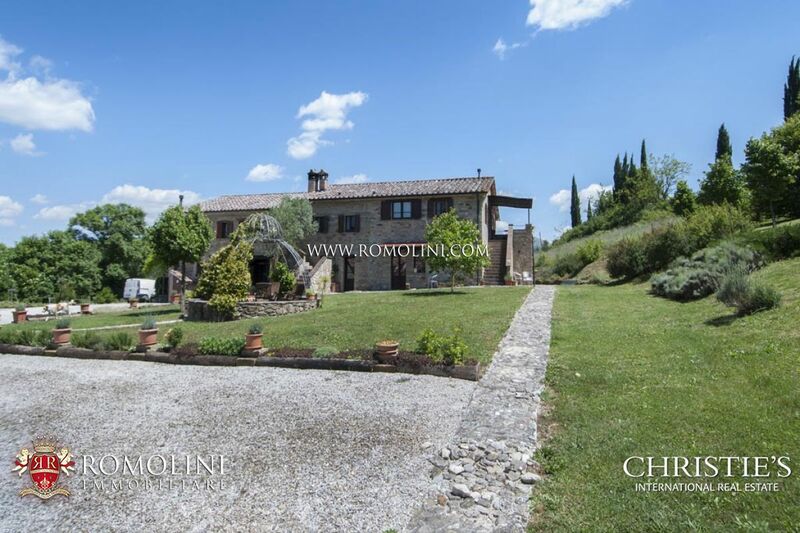 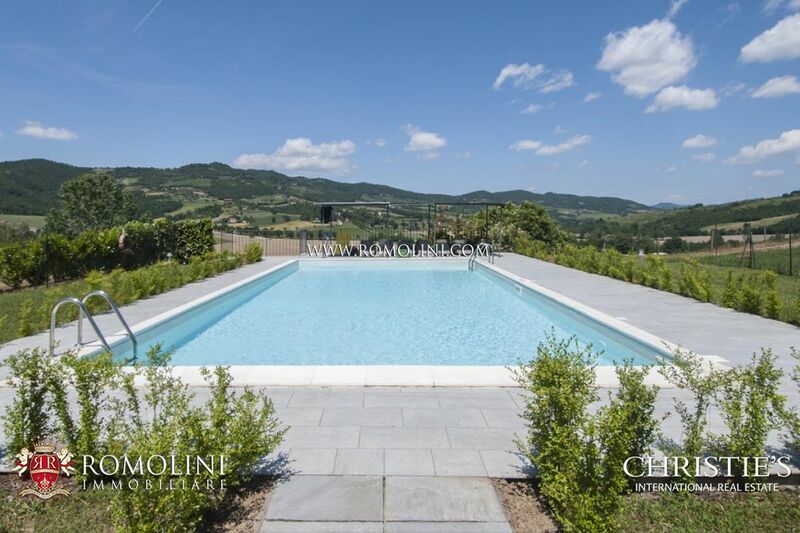 A short distance from Umbertide, on the hills of the Umbrian countryside, this 310 sqm restored farmhouse with 6 bedrooms, garden and pool is ideal if one is looking for a residence in a quiet location, far from the chaos of the city. 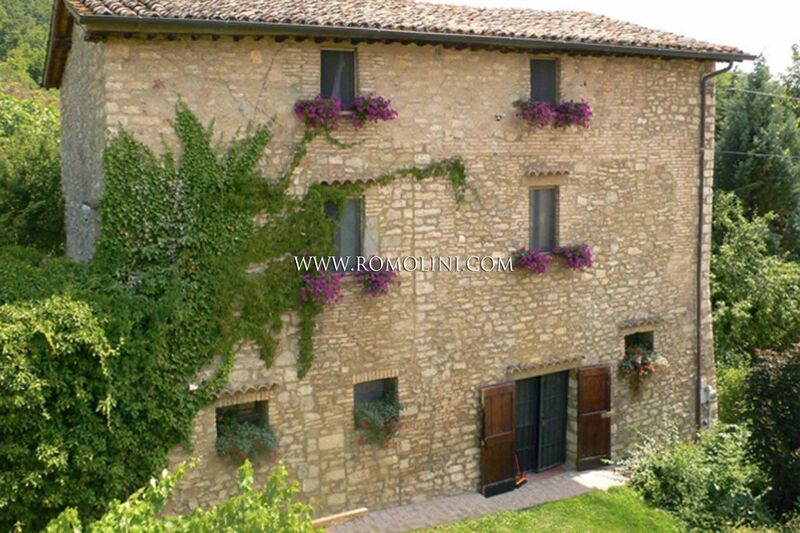 The building is also suitable if one wants to start a hosting business thanks to the numerous rooms. 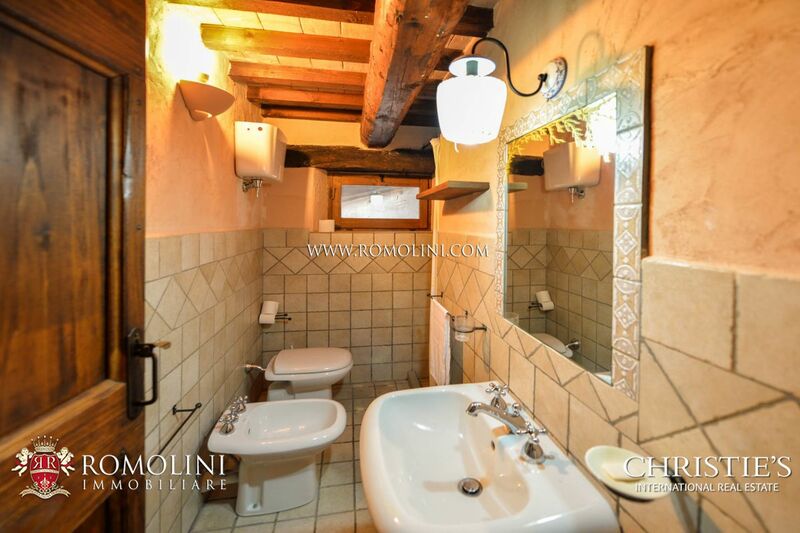 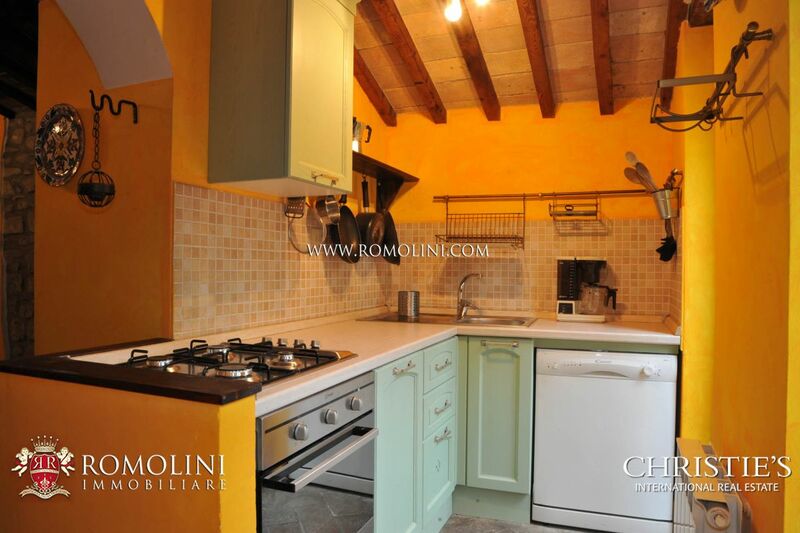 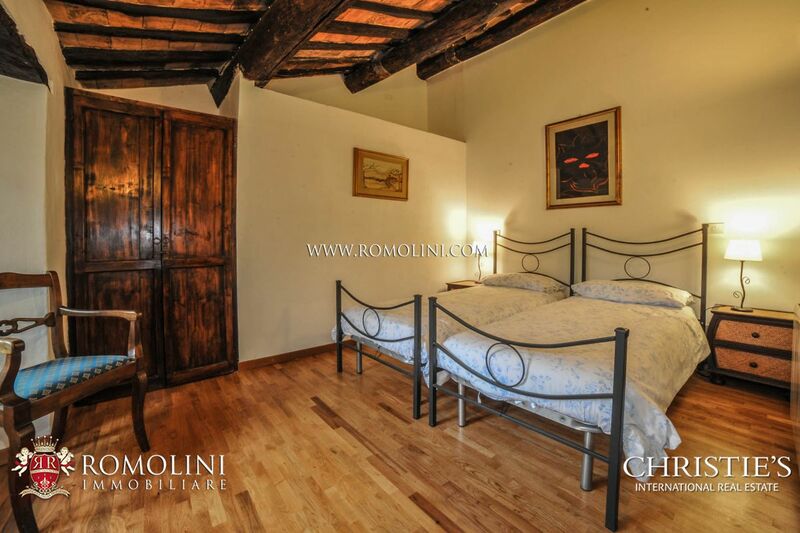 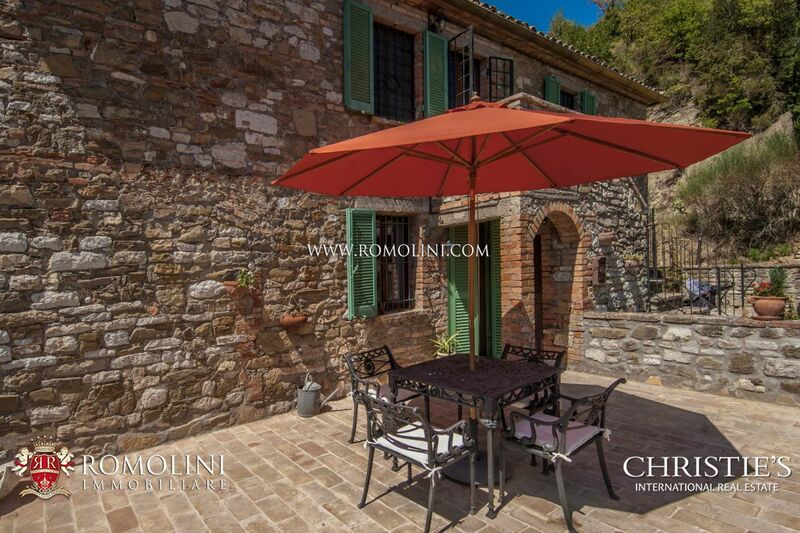 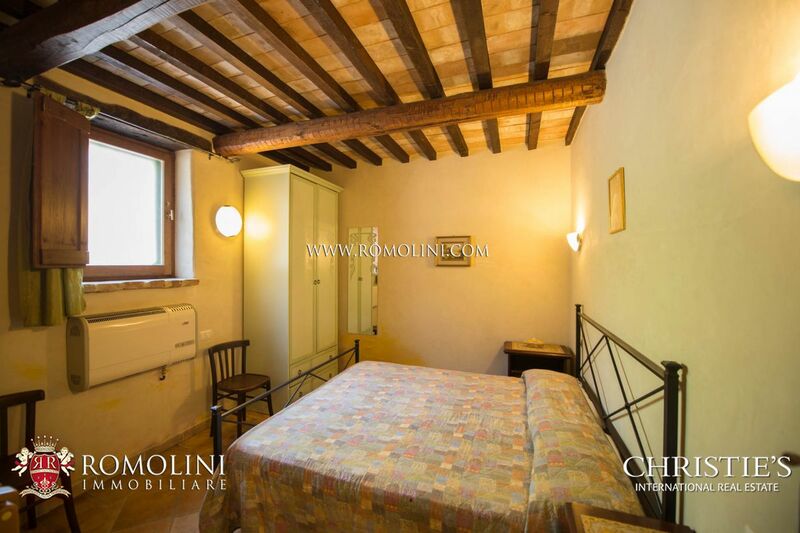 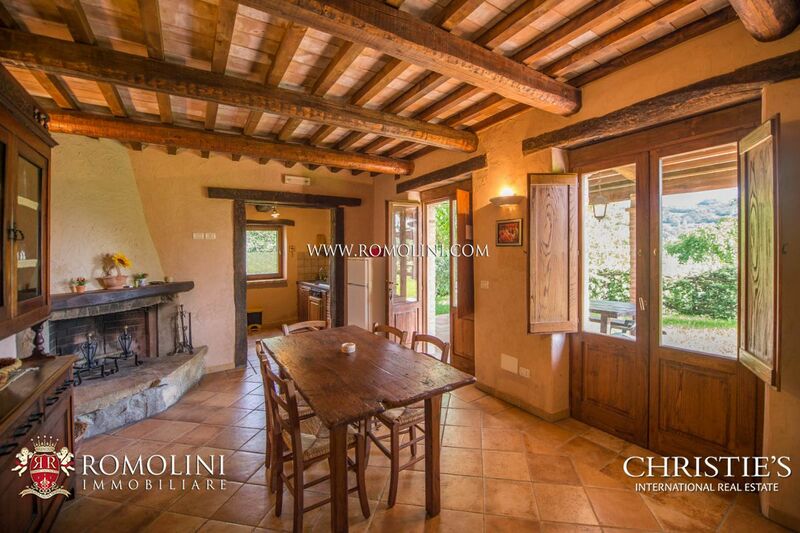 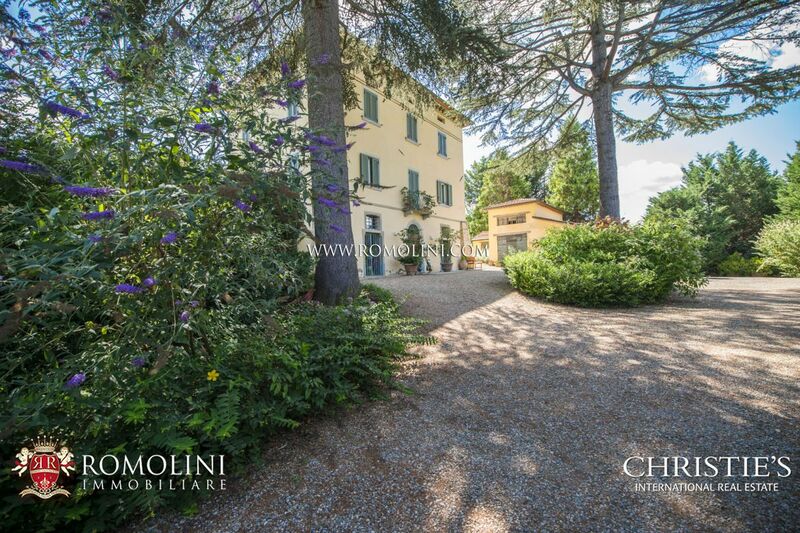 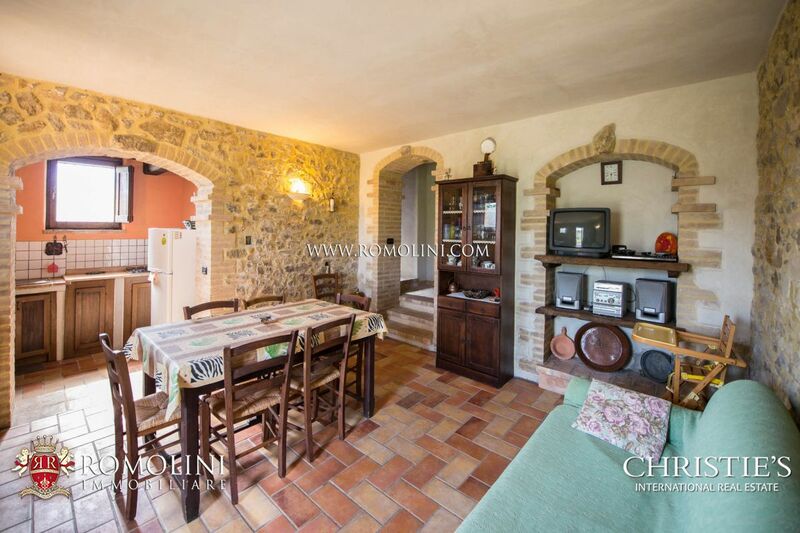 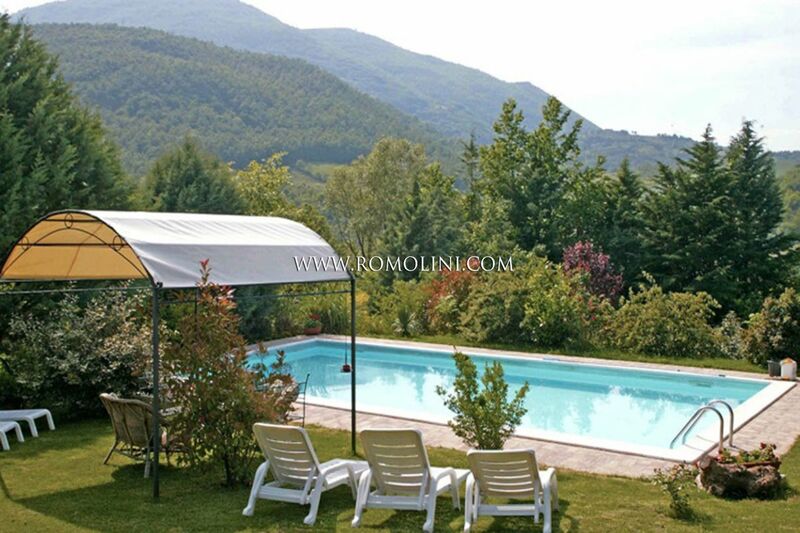 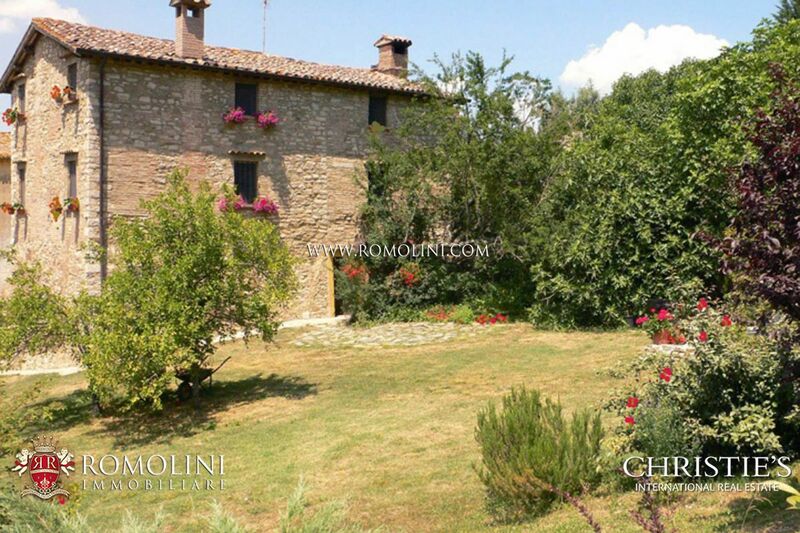 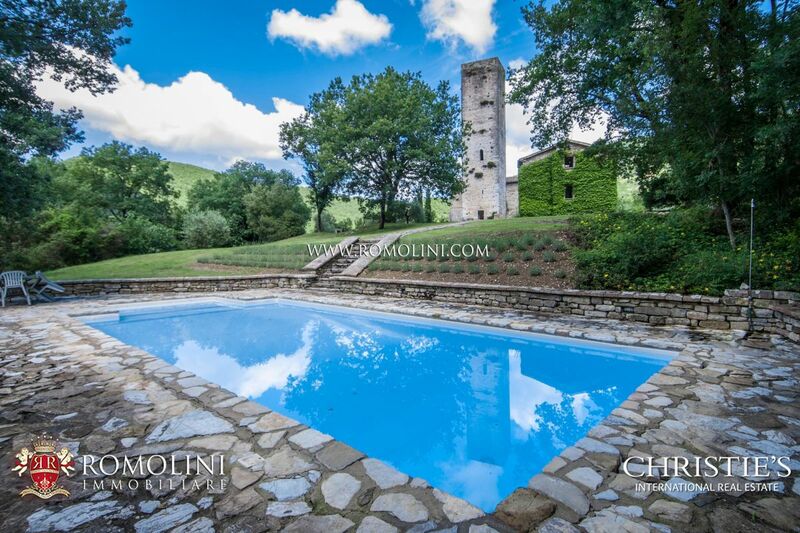 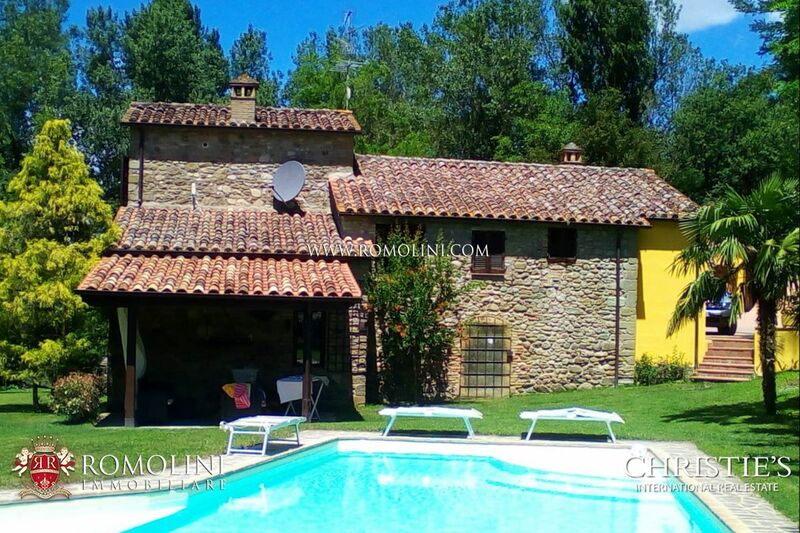 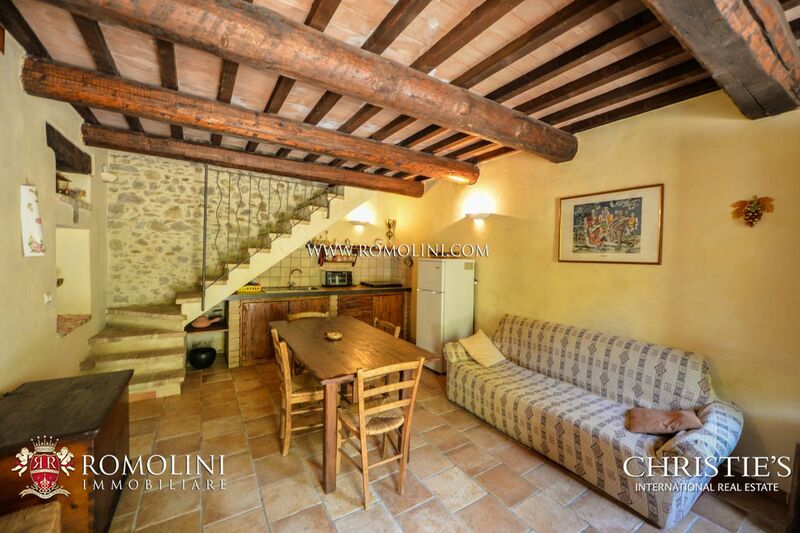 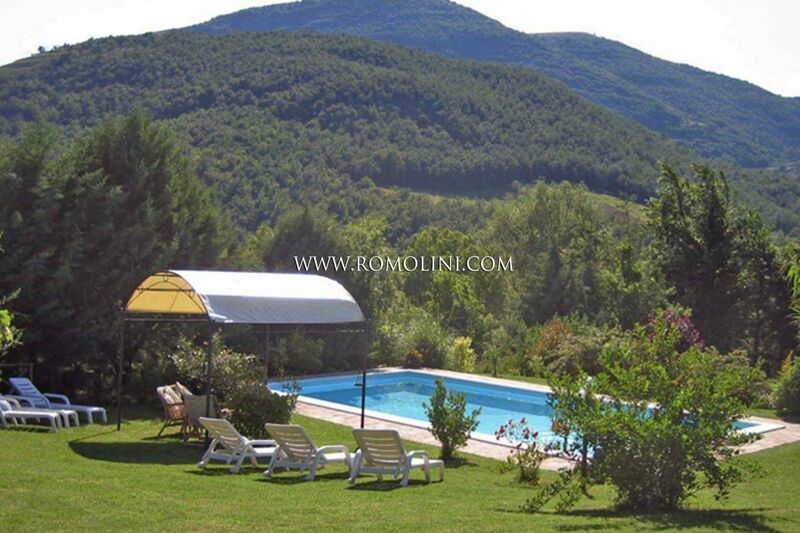 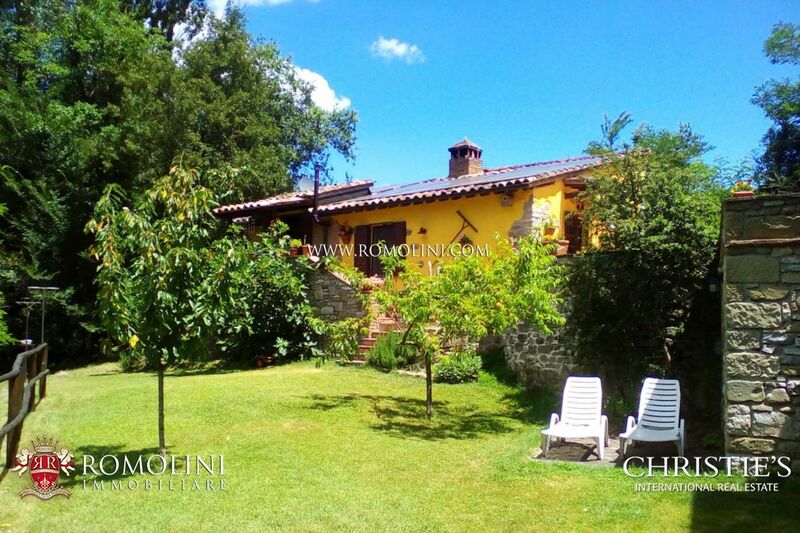 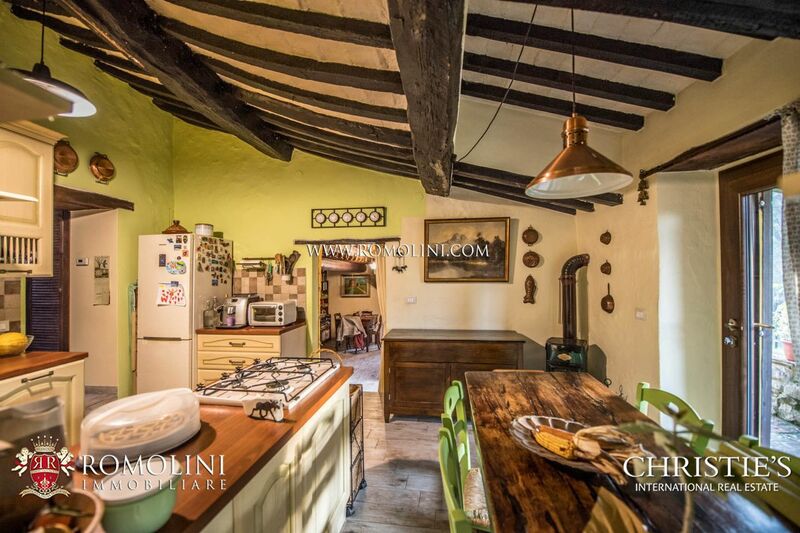 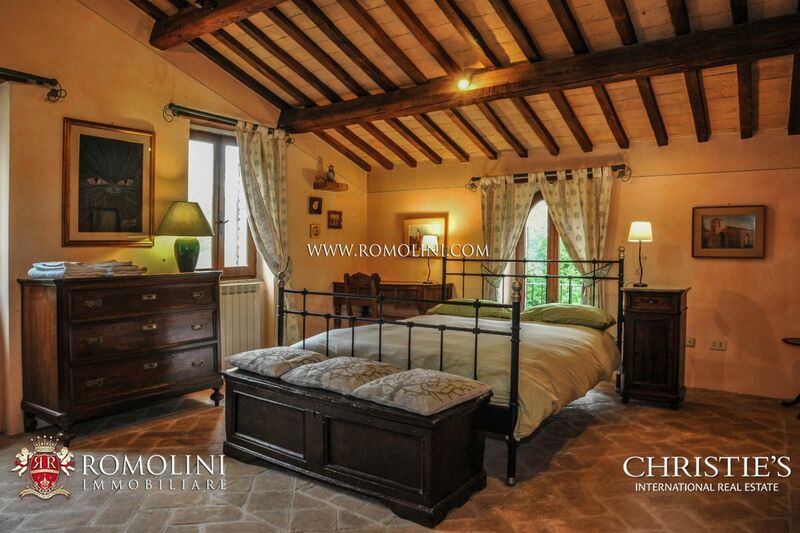 In Umbria, a few km from the historic centre of Umbertide, detached house with pool and garden. 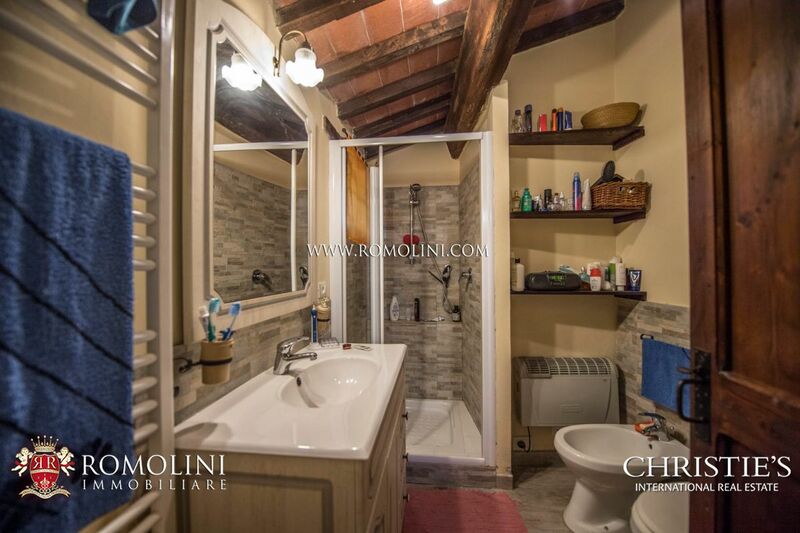 The house has a surface of 220 square metres (or 2,368 square feet), is laid out on three levels, has four bedrooms and three bathrooms. 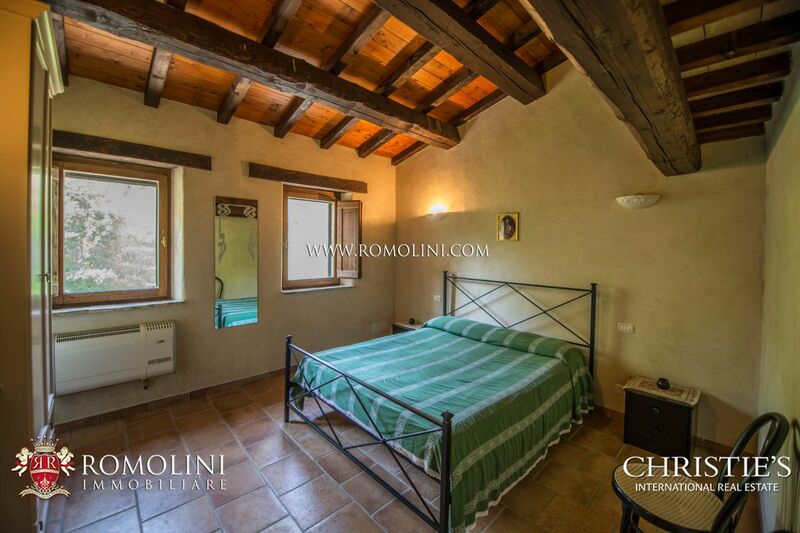 The property, which is equipped with many comforts, has been successfully rented in the last 5 years.